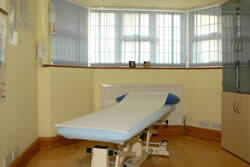 Emergency appointments on Saturday mornings can sometimes be arranged. Treatment sessions are scheduled for 45 minutes each although there are times when a session may be shorter if there are clinical reasons which dictate this. Domicillary visits are undertaken as needed but these incur a higher charge. This is primarily because of additional time needed for travel.